WASHINGTON, DC, April 29, 2011 (ENS) – The U.S. Court of Appeals for the District of Columbia today rejected an attempt to overturn California’s authority to implement greenhouse gas emissions standards for new cars brought by the National Automobile Dealers Association and the U.S. Chamber of Commerce. The Clean Air Act generally bars states from adopting their own emissions standards for new motor vehicles, leaving such regulations to federal control. As California is the only state that had adopted emissions standards before March 30, 1966, it is the only state eligible for a waiver of federal preemption. The Chamber of Commerce and the National Automobile Dealers Association petitioned for review of a decision by the U.S. Environmental Protection Agency granting California a waiver from federal preemption. The waiver allows California to implement its own regulations requiring automobile manufacturers to reduce fleet-average greenhouse gas emissions from new motor vehicles sold in the state. In September 2004, the California Air Resources Board adopted regulations setting fleet-average greenhouse gas emissions standards for new motor vehicles beginning in model year 2009. In 2008, under the Bush administration, California applied to the EPA for a waiver, but the application was denied. On January 21, 2009, the day after President Barack Obama took office, California asked the EPA to reconsider its denial. EPA agreed to reconsider and, on July 8, 2009, after a public hearing and comment period, issued a decision granting the waiver. Now, California’s greenhouse gas emissions standards have also been adopted by 13 additional states and the District of Columbia. Although automobile manufacturers agreed not to contest EPA’s grant of a waiver to California, the Chamber of Commerce and National Automobile Dealers Association did not join in that agreement. They argue that it was unreasonable for EPA to waive preemption for standards related to the global environmental problem of climate change based on California’s need to address state-specific conditions. But the court ruled that the two plaintiff organizations do not even have the “standing to sue” before the court. The Chamber did not identify a single member who was or would be injured by EPA’s waiver decision, so it lacks standing to raise this challenge. NADA identified two Ford dealers, one in California and one in Maryland, who claim to have been injured by the waiver decision because it means they “may” not be able to sell higher-powered cars that their customers “might” want or need to buy, placing them at a competitive disadvantage with respect to out-of-state dealers or causing them to charge higher prices to meet an increase in manufacturers’ costs. But the court ruled that neither declaration demonstrates the “substantial probability” of injury required to establish the petitioners’ standing. The Chamber and NADA contend that in order to comply with the California standards, automobile manufacturers will have to “mix-shift,” that is alter the mix of vehicles they would otherwise deliver for sale in California and the other states that have adopted California’s standards. But the court cites a 2009 CARB study finding that, in model year 2009, Ford and other automakers were already employing enhanced greenhouse gas-reducing technologies and would not have to mix-shift in 2009, 2010 or 2011. The federal government has promulgated national standards for model years 2012-16, making the petitioners’ argument moot. The petitioners acknowledge that EPA’s national greenhouse gas standards will be “virtually identical” to California’s standards. “Returning the nation to a single, national fuel economy standard under the CAFE structure Congress created remains the best way to cut greenhouse gas emissions, reduce this nation’s dependence on foreign oil and harness the power of consumers to put more fuel efficient vehicles on the road,” NADA said. 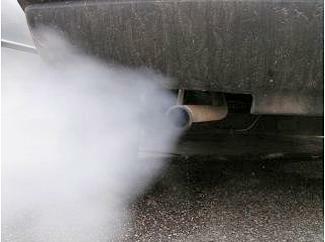 The Sierra Club is engaged in a campaign to obtain fuel efficiency standards of at least 60 miles per gallon by 2025.